Disclosure: Thanks to all the toy companies who partnered with us and gave us products for our giveaways. As always, all opinions are our own. Ahhhh. Those classically named heros in the half shell have become classics themselves. 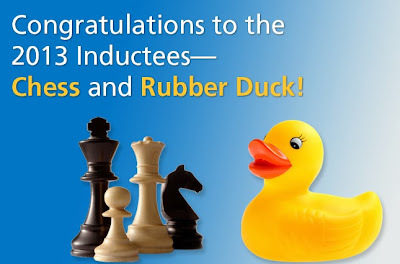 They were even finalists for induction into the National Toy Hall of Fame. Introduce them to the next generation! The countdown to 2014 continues with MORE great giveaways from ChiIL Mama! Shredder and the Kraang intend to unleash a devastating mutagen bomb that will transform the citizens of New York City into mindless mutants! 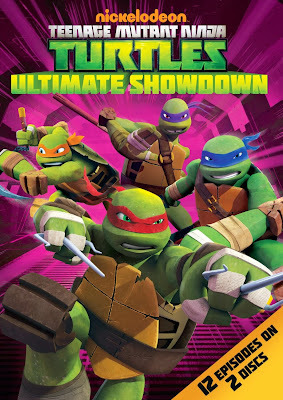 Join Leonardo, Raphael, Donatello and Michelangelo in the fight for NYC in Teenage Mutant Ninja Turtles the videogame! It's nonstop ninja action as the Teenage Mutant Ninja Turtles face off against new enemies and old, including the Rat King, Cockroach, Baxter Stockman, and more! All this, leading to the ultimate showdown against the Kraang and the Shredder himself! Flingers feature a unique and innovative way to launch weapon projectiles. Leo and Mike fling sewer lid and pizza discs from their chest! Roll the figure sideways on a hard flat surface and the right arm reaches for the disc and flings it forward! Each figure includes 10 discs. Don and Raph throw bo's and sais over their shoulders! Roll the figure sideways on a hard flat surface and the rigth arm reaches back, grabs the bo or sai and flings it forward! Each figure includes 3 bo's and sai's. The Turtles hit the streets and fight back with rapid-firing Flingers action! Battle clad with rad junkyard armor, Raph's sliding sideways and slinging sais not once, not twice, but thrice, firing one after another, mowing down the Foot Clan. Even though they were ultimately bested by Chess & The iconic Rubber Duckie, The Teenage Mutant Ninja Turtles were one of twelve toy nominees in contention for induction into the National Toy Hall of Fame 2013, which is a HUGE honor! The National Toy Hall of Fame was established in 1998, and recognizes toys that have inspired creative play and enjoyed popularity over a sustained period. Each year, the prestigious hall inducts new honorees and showcases both new and historic versions of classic toys beloved by generations. The iconic toys are celebrated in The National Toy Hall of Fame gallery located at The Strong's National Museum of Play in Rochester, New York. Considered one of the most popular kids' entertainment brands of the 1980s, Teenage Mutant Ninja Turtles have become an enduring global phenomenon. 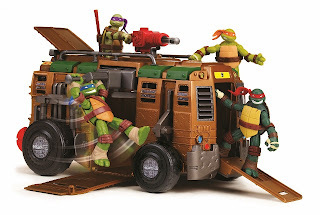 The Turtles made a totally epic return in September 2012 with the launch of a CG-animated television show on Nickelodeon and an all-new toy line inspired by the show from Playmates Toys, the driving force behind the global toy sensation for decades. 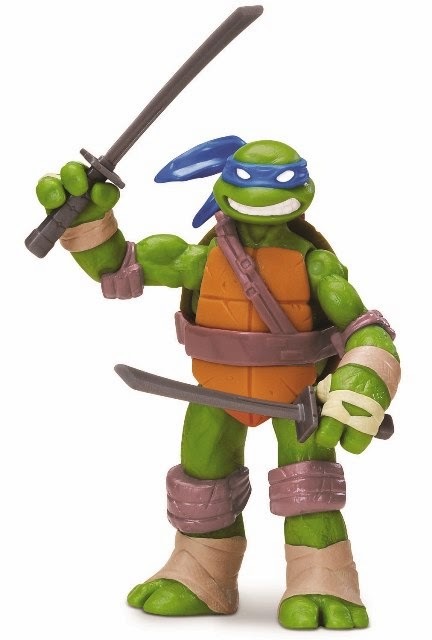 Within just one year of its return, Teenage Mutant Ninja Turtles has once again become the number one action figure line in the toy industry!